You know the idiom, “If it ain’t broke, don’t fix it?” Well, that’s kind of how I feel about my makeup routine. Whether it’s for work or for play, my eye makeup always stays the same: black cat eye, layers of mascara and bold brows. Sure, I’ll add some eyeshadow and put on a set of falsies for special occasions, but the cat eye is always present. I’ve mastered something that not everyone can do and it makes me feel pretty, so why switch it up? With that said, I like to think that I've become somewhat of a liquid liner connoisseur. Since everyone's eyes are different, I don’t believe that there's one special trick to achieving a perfect flick. It’s all in the liner (and lots of practice). You want a sturdy, precision tip that distributes a long-wearing formula evenly. 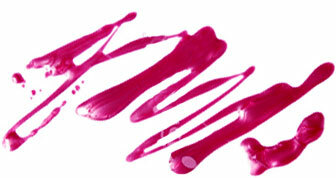 It should never smear or imprint on your lids (whether they get oily or not), but should always wash off with ease. Sound too good to be true? Here are five of my absolute favorites that do it all. I’ve only been using this liner for a week and it has already skyrocketed to the top of my favorites list. The formula glides on super wet; all you need is one swipe. I love the unique matte finish. This is, by far, the longest lasting marker liner I’ve ever used. I wore it almost every day for at least three months before it started to dry out. The felt tip is so soft, and at under 10 bucks, it's a steal. This is the liner that I used when I first started experimenting with a cat eye. I could literally sleep with this on and wake up with a perfect line and flick the next morning. It does not budge at all. I highly recommend it for the summer, especially because it comes in so many awesome shades. Another eyeliner you can sleep in (but shouldn’t, of course). One time, I had to spend the night on my friend’s couch after a night of drinking and, naturally, passed out with my makeup on. When I woke up, she wouldn’t stop raving about how perfect my eye makeup still looked. For cool, graphic cat-eye looks, the super fine tip of this liner is the way to go. It gives you full control and a steady flow of ink from corner to flick. You can smudge it with an eyeshadow brush for a grungy eye look, but it won’t smudge on its own (promise! ).